The numbers are in and they are incredible. 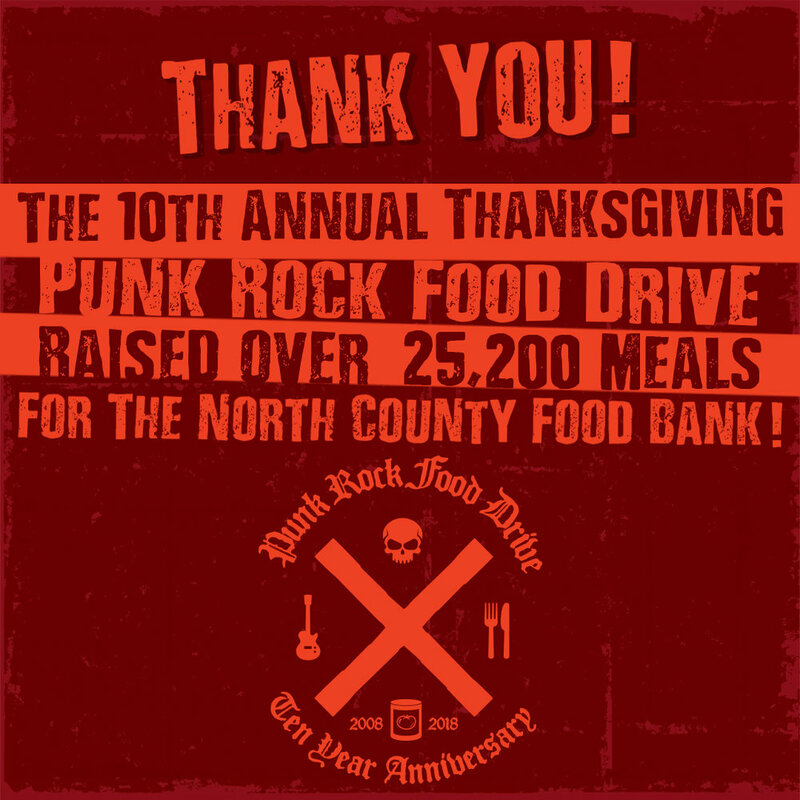 So many people pitched in to make The 10th Annual Punk Rock Food Drive our most successful so far! 1,763 pounds of food was raised by attendees at Midnight Jack, employees at AllScripts, and Students at Pacific View Academy in Encinitas. $4,753 was raised by PRFD concert attendees, portions of sales from Midnight Jack, a fundraising event at Senior Grubbys, fundraisers organized by The San Diego Ruff Ryders, online donations. All of these coordinated efforts result in over 25,200 meals for North County residents who may not know where their next meal is coming from. Thank you to all of the businesses, bands, vendors, friends, and family that contribute to this event. We continue to reach and surpass the goals that we set thanks to your support and participation!